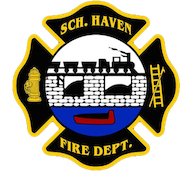 April 22, 2014 – At 21:40 the Schuylkill Haven Fire Department was dispatched to 223 W. Columbia Street, (the Liberty Fire Company) for a search and rescue detail. Chief 730 (Zulick) established a command post at Station 4 as fire department personnel searched around the Schuylkill River and surrounding areas for a missing female. The Schuylkill Haven Dive Team was also dispatched and deployed numerous boats containing divers and searched the banks of the Schuylkill River. After approximately 3 hours of searching, the search was suspended. Chief 730 had command. Thankfully, the female was then found safe in the early morning hours the following morning.